Tuesday 27th – Y3 Parkour sessions and Rock Steady Concert at 10.15am. Students from London School of Contemporary Dance performing in the top hall pm. Many thanks to all those parents / carers who attended Open Afternoon last Thursday. 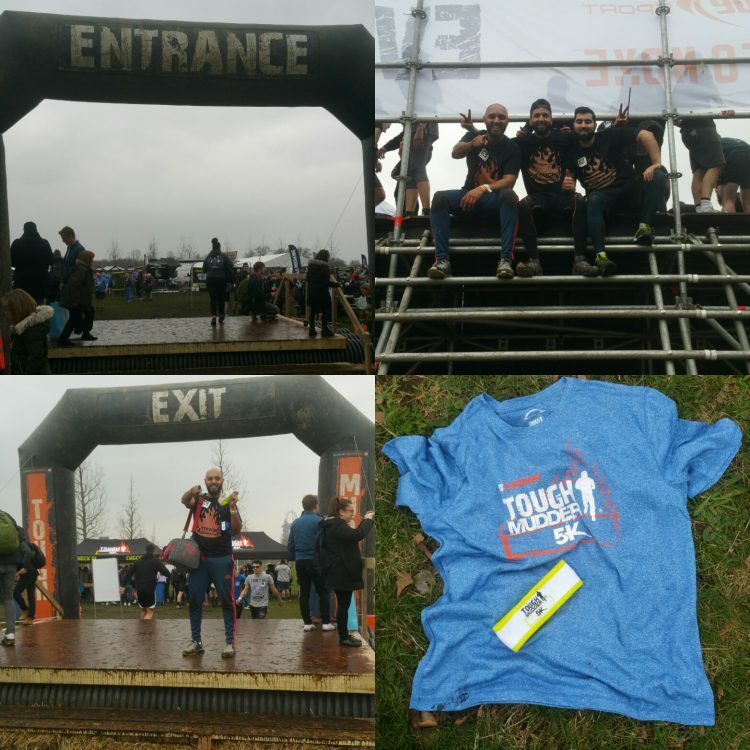 We received lots of positive feedback and it was encouraging to see so many of you there. If for whatever reason you were unable to attend, please do contact your class teacher to arrange another time. 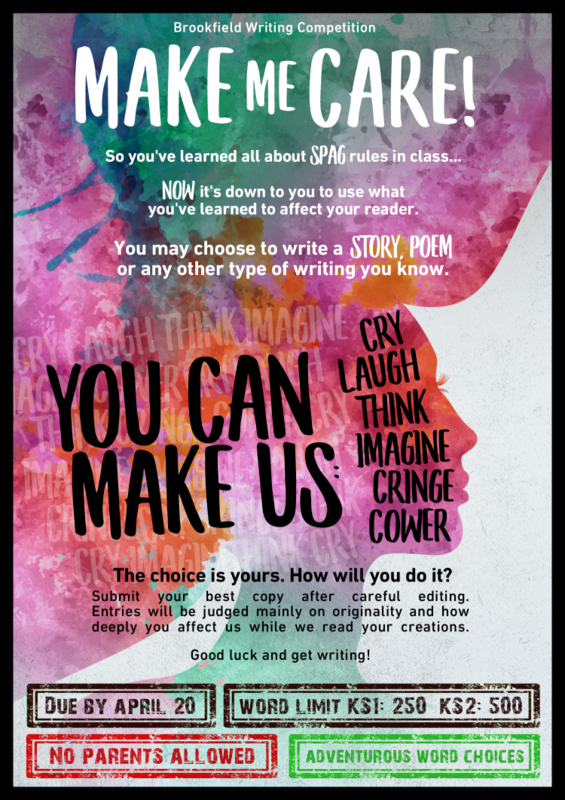 This morning in assembly, Gemma (literacy subject leader) shared with the children an exciting optional writing competition which will be taking place over the Easter Holidays. Please see poster below. The closing date for the competition will be Friday April 20th and prizes will be awarded to the winning entries which will also be displayed pride of place in Mark’s office. This week, Years 3 and 4 will be showcasing their work on Macbeth to parents / carers on Wednesday 28th for Y3 and Thursday 29th for Y4. Both showcases will start at 2pm and promise to be really inspiring. Do come along if you can. Well done Years 3 to 6 for working so hard on your timestables for the Camden Spring Slam Timestables Competition. Unfortunately we just missed out on reaching the finals, (top ten schools) coming in 11th out of 18 schools taking part. Keep working on those timestables. Remember children are expected to know all their timestables, including division facts, from 2x-12x by the end of Year 4. Congratulations to those children who achieved full marks in both Rounds 1 or 2 and Rounds 3 or 4. 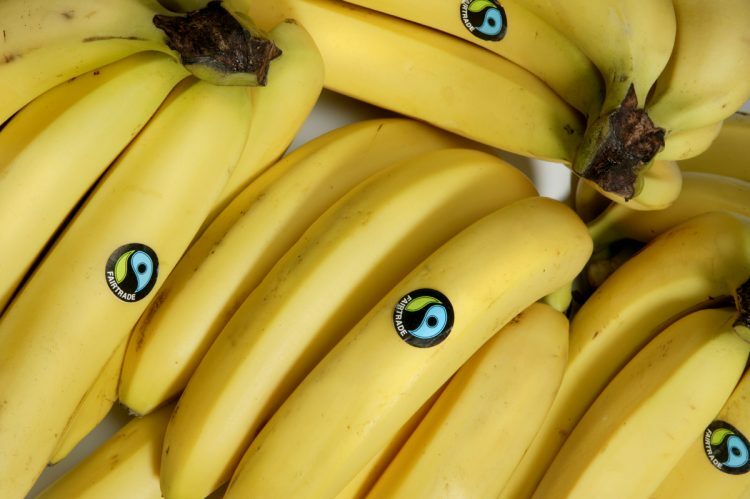 I am glad to report that as from next term, we are going to be selling Fair Trade Bananas from the KS2 Fruit Tuck shop. This is something which Y4 school council reps raised with Mark and has since been agreed. Tomorrow we host the London School of Contemporary Dance who will be performing some of their current work – one of the perks of being a partner school with ‘The Place’. Most of the school will be able to attend and we hope the experience inspires them. This week, the Y3’s and 4’s football team trials begin for both the boys and girls. Trials will be held during lunchtime and will continue after Easter when teams will be selected. Those in the swimming gala team please may I ask that you train over the holidays. The competition will take place on the first Friday after we return to school! I have also selected the ‘inclusive gala team’, who compete on the same day. This gala is less competitive and exists to include those who may not have otherwise had the chance to compete. These are children exclusively from Y6 – letters have already been given to those selected. For those involved in the dance festival; news of when and how to purchase a copy of the Dance Festival performances will be released after Easter. Please check the newsletter for updates. Unfortunately, for various reasons, some clubs had to be cancelled several times this half term. With this in mind, we have decided to invite those children most effected to join the same club next half term, free of charge. Letters have gone out to those children who have attended Ballsports, Art (Wednesdays and Thursday), DT and Girls Football this half term giving them the option to sign up again. Clubs will be taking place today (except Songwriting), Tuesday and Wednesday. Clubs are cancelled on Thursday as it’s the last day of term. This half terms lunches are £69.60. School closes on Thursday at 3:30pm, please check your accounts. It is the end of the financial year and therefore essential that all accounts are settled. Thank you. 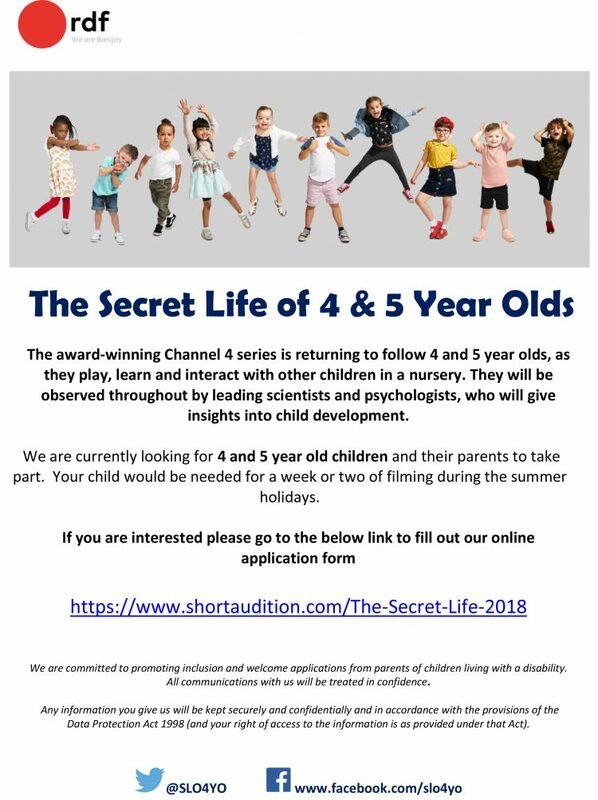 The producers from Channel 4’s ‘Secret Life of 4 and 5 Year Olds’ have been in touch with the school as they are currently casting for the next series and looking for a diverse group of children to take part. Please see flyer below for details of how you can apply. It just remains for me to wish everybody, particularly our Christian families, a very Happy Easter and a relaxing and enjoyable holiday. This term has been full of highlights: the auction; Jumanji week; World Book Day and Shakespeare showcases – these would not have been possible without everybody’s generous support. Thank you so much! We look forward to seeing you all again on Monday April 16th for the start of next term.